This is a study for a mural of heaven, I’m painting for St. Thomas More Parish. 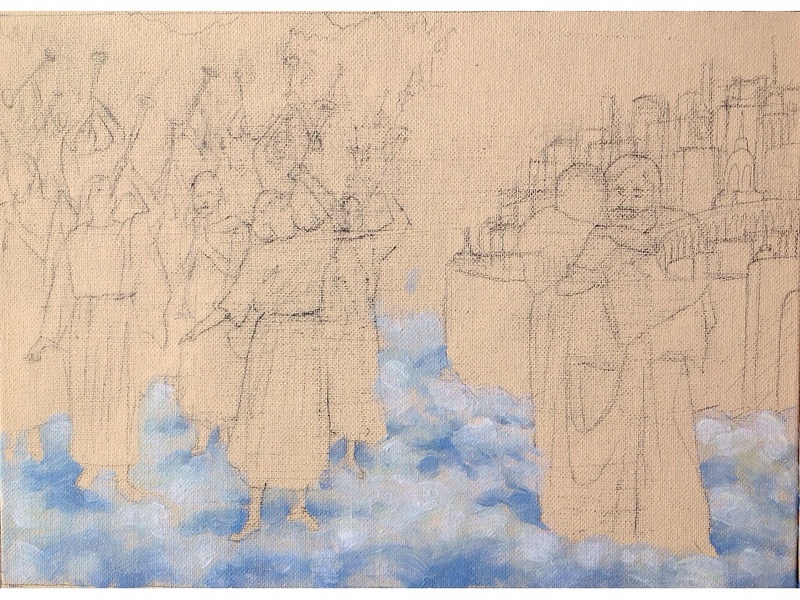 The mural will be painted with acrylics 8.5’x 24.5′. The study is 8.5″x 24″. I will be posting more images as it progresses. I’m considering recording a time lapse of the mural being painted. A close up of the left half. This entry was posted in Figurative, Illustration, Mural, Painting and tagged Acrylic, Angels, figure, Heaven, Mural, Painting. Bookmark the permalink.